Disaster can strike at any moment and often without warning, be it earthquake, fire, flood, or gamma-irradiated aliens. Isn’t it about time you reviewed your Alien Disaster Plan with your loved ones? You may only have seconds to react when the Alien comes storming through your city. While many fall prey to the false sense of security provided by shield-wielding WWII veterans or friendly-neighborhood wall-crawlers, studies show that careful planning can help you survive when old Jade Jaws comes calling. Luckily, this Alien Neoprene Face Mask can help give you and your family many important tips for preparing for the inevitable. While the family station wagon is good for trips to the grocery store, you’ll need something a little faster or more sturdy if you hope to evacuate safely. The Alien Neoprene Face Mask can disguise you as you make your way to your heavily-armored attack van, military tank, sleek sports car, or jet fighter handy. Go over the advantages and disadvantages of each choice, and remember the alien neoprene masks patterns are reversible to solid black material if needed.. While many other more official and accurate disaster plans would have you avoid your downtown area at all costs, the Alien Neoprene Face Mask hides you if you take the curvy, high-octane course straight through the mass destruction that lies in your city’s heart. Even if equipped in the jet fighter, it’s important to remember to wear the mask as tightly as possible (which is easy since one size fits most). Be honest with your family. Only the people wearing the Alien Neoprene Face Mask really have a chance of making it out alive. Remind that when they see Grandma’s tank crushed by the Aliens ship to shed no tears and press on. There will be time for mourning AFTER they escape. Only through wearing your Alien Neoprene Face Mask will it be truly effective. Sit down with your family and friends and urge them buy one. It could save a life, possibly your own. 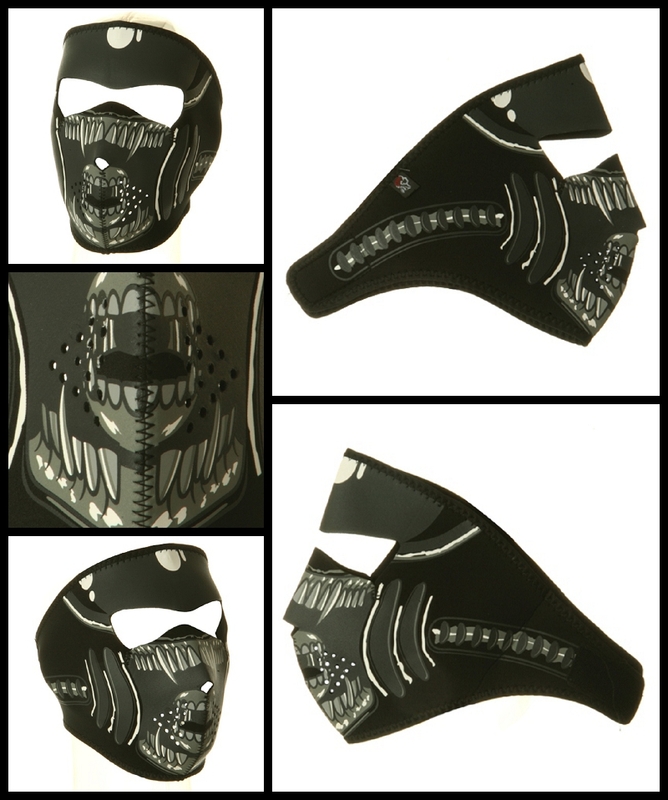 The Alien Neoprene Face Mask features full coverage of the face and ears. The stretchy neoprene material is warm and water resistant. The Alien patterns are reversible to solid black material. Velcro closure ensures great fit with goggles, with a helmet or without. One size fits most.